Staff from our Maternity Unit have been celebrating their achievement of full Baby Friendly Initiative (BFI) accreditation with UNICEF UK today. 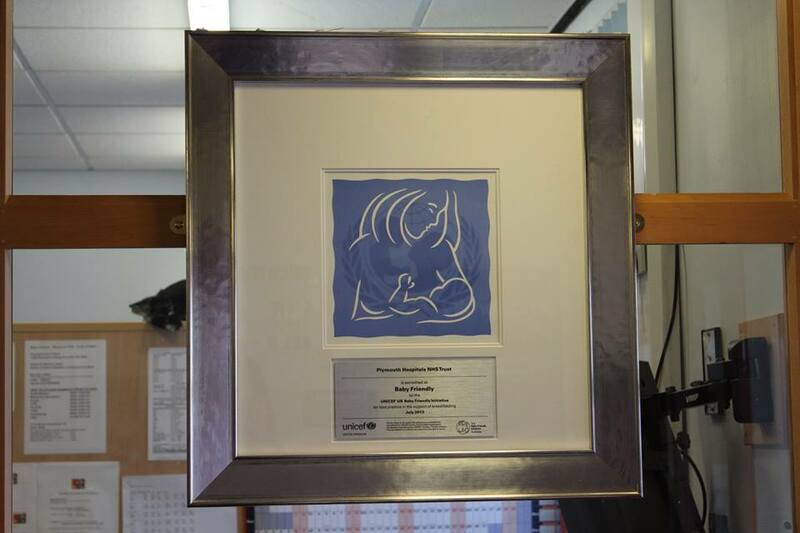 The award is given to health facilities after an assessment by UNICEF has shown that recognised standards of best practice are in place to improve the care provides for all mothers and babies. Taking just over four years to complete, the programme started with training for all staff groups involved with the care of mothers and babies. Policies and guidelines were revised in order to support the Baby Friendly standards and all staff groups were trained to ensure they worked within these guidelines. 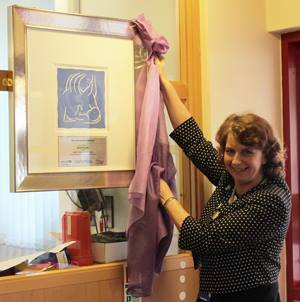 Joined by maternity staff, Chief Executive Ann James officially unveiled a special commemorative plaque in the Maternity Unit. Sue Stock, Head of Midwifery added: “This is very prestigious for maternity services and is the result of a lot of hard work by our very committed team over years not months. It could not be a better example of the Maternity Department working with our colleagues in the primary care setting to ensure that families receive consistent and accurate support with infant feeding. 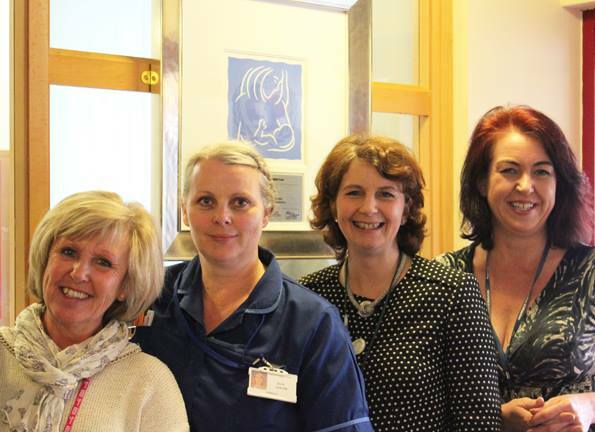 One of the Lead Midwives for the project Clare Potter added: “We have worked hard as a team to protect promote and support breastfeeding and to strengthen mother-baby and family relationships and we are delighted that we have now achieved full Baby Friendly status. “Breastfeeding protects babies against a wide range of serious illnesses including gastroenteritis and respiratory infections in infancy as well as cardiovascular disease and diabetes in later life. “Studies have shown those women who have their baby in a Baby Friendly accredited trust are supported to continue breastfeeding for as long as they choose to; not giving up earlier than they had wanted to. 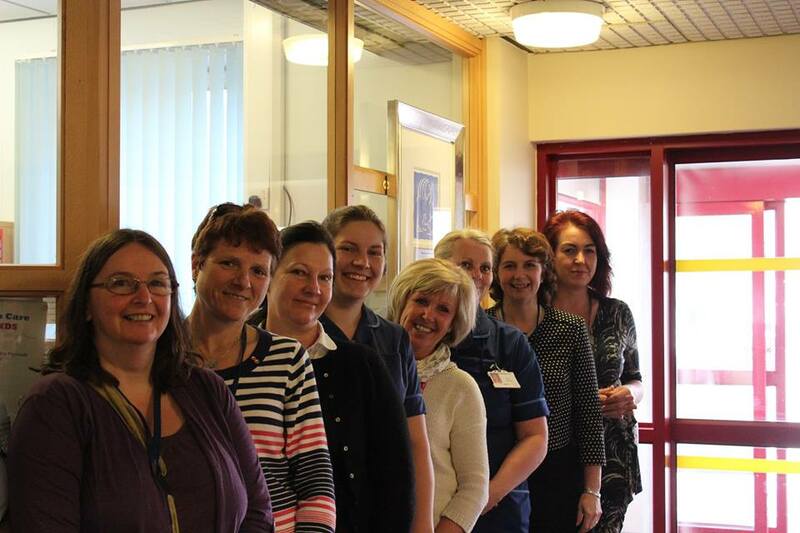 “However, mothers at Derriford can be confident that their midwives will provide high standards of care, however they choose to feed their baby. “We will support them to form a strong loving relationship with their new-born with maximum skin to skin contact and help them to understand their baby’s cues. Established in 1992, the Baby Friendly Initiative is a worldwide programme of the World Health Organization (WHO) and UNICEF that aims to encourage maternity units to implement the Ten Steps to Successful Breastfeeding and to practice in accordance with the International Code of Marketing of Breastmilk Substitutes. Initial stages of the accreditation include a visit from a UNICEF assessor, the implementation of a breastfeeding policy, action plan and signed commitment from senior staff. 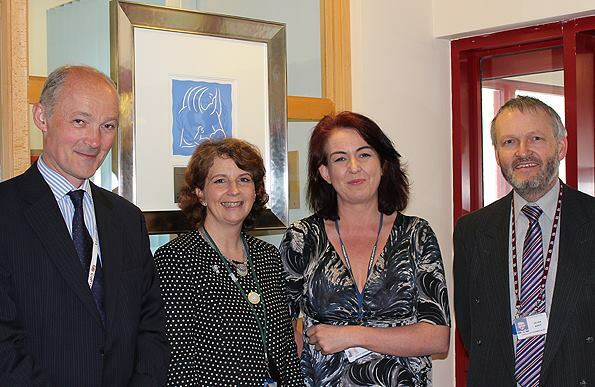 There is then a series of assessments to ensure the care provided to pregnant women and staff knowledge and skills has been developed to enable the standards to be implemented and maintained. The full accreditation will last for two years, after which a reassessment will be completed to ensure the standards remain compliant.